Home > HOT OFF THE PRESS! New major report from @intidea @ForumFed @ConstTrans and Manuel Gimenez Abad Foundation. Federalism and other forms of territorial sharing of power are key to solving most of the world’s violent conflicts. HOT OFF THE PRESS! New major report from @intidea @ForumFed @ConstTrans and Manuel Gimenez Abad Foundation. Federalism and other forms of territorial sharing of power are key to solving most of the world’s violent conflicts. Collective demands for the constitutional accommodation of territorial cleavages are pervasive across very diverse contexts. In many countries, political identification on the basis of territory is a central basis of political mobilization, around which political claims are framed, political parties formed, elections contested, governments composed, and constitutional claims made and resisted. 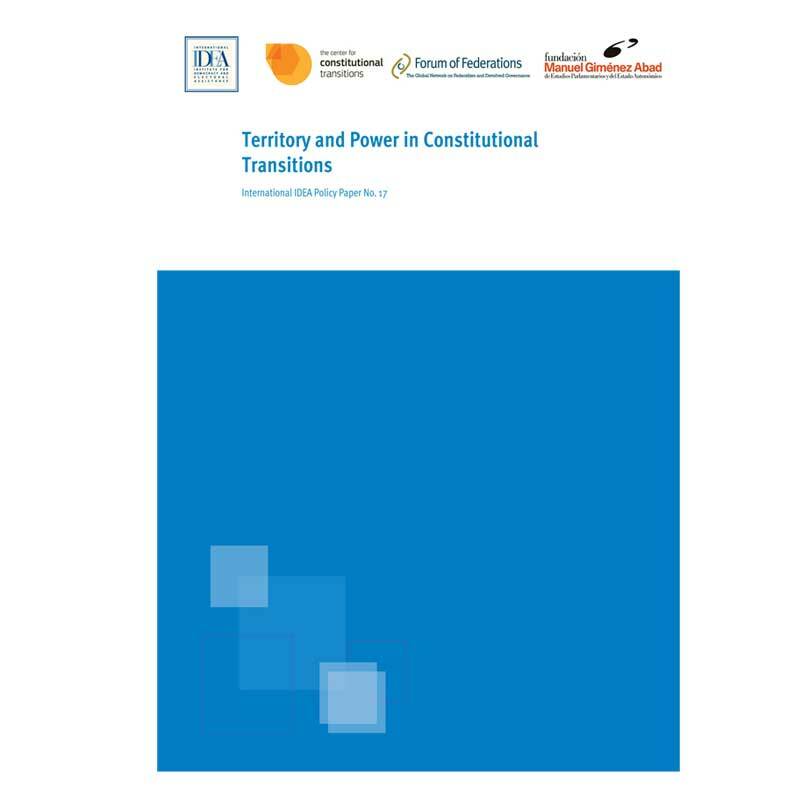 Constitutional transitions dealing with significant territorial cleavages face political dynamics and challenges that are quite distinct from such transitions where such cleavages are absent. They can involve different constitution-making processes, sometimes with representatives of territorial groups having a formal or informal role, and certainly involve different political dynamics, whatever the defined roles of territorial groups are in the process. This Policy Paper seeks to provide insights into how territorial claims relate to constitution-making processes and constitutional design, and to offer advice that may be useful to principals and advisors engaged in constitutional moments: periods in which there has been intense political engagement over how to respond constitutionally to significant demands for territorial accommodation from one or more regions.